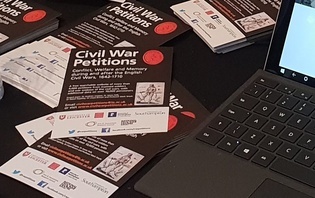 Several of the signatories to the documents in our Civil War Petitions database will be familiar names to anyone interested in the period. 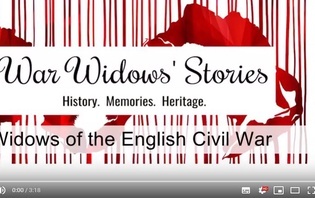 In a previous blog, Andrew Hopper told the story of how Parliament’s Lord General, Thomas Fairfax intervened personally in two deserving cases in his native Yorkshire, writing in support of a widow from Leeds and a maimed veteran from Otley. Oliver Cromwell wrote numerous letters to request financial assistance for maimed parliamentarian veterans and war widows, in counties as far apart as Essex, Hampshire and Denbighshire. By contrast, the vast majority of local commanders and county officials whose signatures appear in the records are generally unknown to any except local historians. Nevertheless, these obscure characters are often interesting to research, and many turn out to have truly fascinating stories. Here, David Appleby reveals more information about three officials whose signatures appear repeatedly in the Nottinghamshire documents in our database: a war hero, an eccentric, and a turncoat. The War Hero: Francis Thornhagh of Fenton, Nottinghamshire (1617-1648). When Francis Thornhagh signed Francis Spry’s certificate in September 1646 fate would decree that the 29-year-old colonel had less than two years left to live. Lucy Hutchinson, the famous seventeenth-century writer, who rarely bestowed praise on anyone outside her immediate family, clearly held Thornhagh in high esteem. He was, she later recalled, ‘a man of a most upright faithfull heart to God and God’s people’, demonstrating ‘valour and noble daring’, and ‘of a most excellent good nature to all men.’ She could not resist adding that he was also often impulsive, and somewhat susceptible to flattery. At the same time, she conceded that he was always willing to admit to his shortcomings, and would never cling to a mistaken policy simply because he had instigated it. [Hutchinson Memoirs ed. Sutherland, pp. 72-3.] Thornhagh had been at school with Lucy’s husband, Colonel John Hutchinson, and proved a steadfast friend and ally throughout the latter’s governorship of Nottingham. He had previously served in the Dutch army, and so at the outbreak of hostilities Parliament commissioned him to raise a regiment of horse. Thornhagh proved to be a charismatic and competent leader. He served under Oliver Cromwell in Lincolnshire in 1643, and soon after took his regiment to join a taskforce being assembled by Sir John Meldrum to besiege Newark. 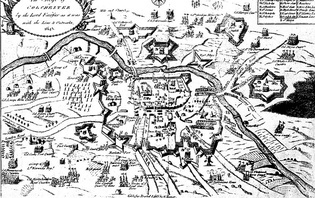 In March 1644 Meldrum’s taskforce was surprised by Prince Rupert, and pinned against Newark’s defences. A Lincolnshire commander, Lord Willoughby panicked and fled, taking most of the parliamentarian cavalry with him. Thornhagh was made of sterner stuff: he rallied as many troopers as he could, and charged the royalist line. In the ensuing melee the outnumbered parliamentarians were decimated. Thornhagh was badly wounded, and carried back to Nottingham to die. However, confounding his surgeons, he recovered, and soon returned to active service. He fought at the battle of Rowton Heath in 1645, and took part in Sydenham Poyntz’s subsequent campaign in the East Midlands. Parliament commended him for his ‘many great and faithful services’ [Commons’ Journals, iv, p. 258]. When the Second Civil War broke out in 1648, Thornhagh again found himself under Oliver Cromwell’s command. At the battle of Preston in August his impetuosity finally proved his undoing: Cromwell reported that Thornhagh advanced too boldly, and was ‘run into the body and thigh and head by the Enemy’s lancers’. Thus the general was left to lament that a worthy gentleman ‘who often heretofore lost blood in your quarrel’ was dead. He reminded the Speaker of the Commons that Thornhagh had always been ‘faithful and gallant in your service as any’, and had left children ‘to inherit a Father’s honour, and a sad Widow – both now the interest of the Commonwealth’ [Carlyle, Cromwell’s Letters and Speeches, Vol I, part iv, letter xli, p. 284]. Yet another family had been bereaved by the Civil Wars. The eccentric: Clement Spelman of Narborough, Norfolk (1607-1679). Despite being a Norfolk gentleman, Clement Spelman became very influential in the parliamentarian administration in civil-war Nottinghamshire. His links with the Midlands seem to have stemmed from a family connection with the Willoughby family, who had extensive estates in Lincolnshire, Nottinghamshire and Derbyshire. Spelman was clearly a conscientious and hardworking member of the Nottinghamshire county committee, for his signature appears a great many of the warrants to pay maimed soldiers and war widows. Interestingly, despite the fact that she must have known them, neither Spelman nor another industrious signatory, Nicholas Charlton receive a single mention in Lucy Hutchinson’s memoirs. 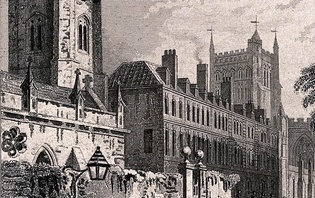 Spelman was appointed deputy-recorder of Nottingham in 1647, and later rose to become Recorder and a magistrate of the Midland Circuit, apparently surviving the political purges which followed the Restoration. 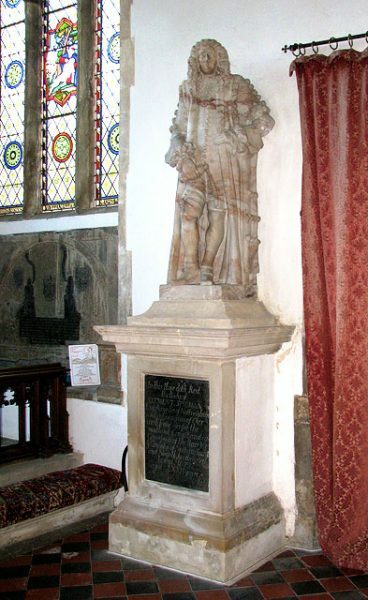 However, his main claim to fame lies not so much in his successful civic career, but in the manner of his entombment in Narborough parish church. It appears that the septuagenarian disliked the idea of being repeatedly walked over, and so left directions in his will that he should be buried standing up [Sherlock, Monuments and Memory in Early Modern England, p. 45]. According to the Victorian contractors who made some excavations in the church in the nineteenth century, this somewhat bizarre wish was carried out. He had been laid to rest (or more accurately stood to rest!) 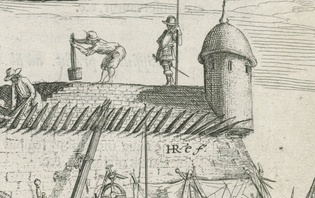 in 1679. 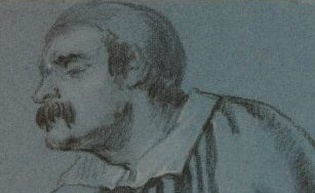 Whereas Lucy Hutchinson was generally positive in her assessment of Francis Thornhagh, she reserved some of the hottest bile in her memoirs for Charles White, a colleague of Thornhagh and Spelman on the Nottinghamshire committee. She described White as a social climber, a man of ‘mean birth and low fortunes’ who over the years had worked hard to ingratiate himself with the local gentry. ‘This man’, she wrote, had the most factious, ambitious, vainglorious, envious and malicious nature that is imaginable; but he was the greatest dissembler, flatterer, traitor and hypocrite that ever was.’ She accused him of feigning godliness and humility, whilst being a slave to alcohol and lust. By courting ‘the common people with all the plausibility and flattery that could be practised’, and by ostentatiously making large donations to fund godly preaching, Lucy asserted that White made himself popular and appeared a true advocate of the parliamentarian cause – until ‘he was discovered some years after’ [Hutchinson Memoirs ed. Sutherland, p. 69]. 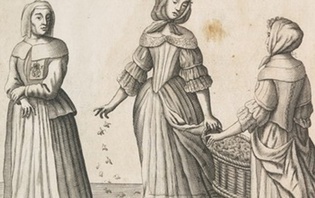 This was by any measure a damning excoriation, but recent research has found that Lucy Hutchinson tended to bend the truth when it suited her, particularly where her husband was concerned. She was obsessively protective of John Hutchinson’s memory, and it is very clear that he and Charles White were political enemies. Throughout the First Civil War their rival factions struggled for supremacy within the county committee. Worse still, it is obvious that Lucy, an avid supporter of the Commonwealth, was outraged by White’s eventual defection to the royalist cause. Nothing has as yet come to light in the archives to substantiate Lucy Hutchinson’s claims as to Charles White’s character. 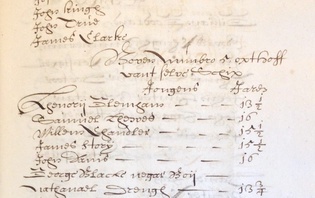 He appears to have been a socially conservative Presbyterian who served as an elder of the Nottinghamshire Classis, as did several other members of the Nottingham parliamentary county committee [University of Nottingham Special Collections, Nottingham Classis minute book, 1654-1660 Hi 2 M/1]. It is unsurprising that White and fellow conservatives would be opposed to the more radical group who followed Hutchinson. White saw his share of military action, serving as a captain of horse during Cromwell’s fight at Gainsborough in 1643, and commanding both dragoons and horse in the Nottingham garrison [Cromwell Association Online Directory of Parliamentarian Army Officers]. White’s gradual disillusionment with the direction of the revolutionary cause was typical of a great many Presbyterians. 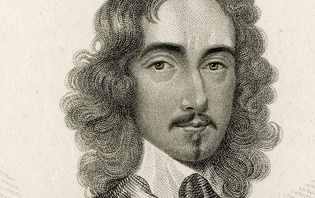 Some, such as Colonel Henry Farr (who will feature in a future blog) deprecated the incarceration of Charles I, and were alarmed by the rise of the radical Independents. As a result, Farr and others defected to the royalists at the start of the Second Civil War of 1648. Many more Presbyterians abandoned Parliament after the Regicide, shocked and appalled by the public execution of an anointed monarch. A final tranche of Presbyterians defected in 1659, anxious at the growing political chaos which had ensued after the eclipse of the Cromwellian Protectorate. Booth’s Rising in August 1659 was a coalition of royalists and Presbyterians: led in the north by the earl of Derby and Sir George Booth, and in the Midlands by Lord Richard Byron and Charles White (by now dubbed Colonel White), supported by former parliamentarians such as Colonel Edward Rossiter from Lincolnshire and Robert Pierrepoint, the son of a Nottinghamshire committee member. Just as Booth’s rising in the north was swiftly extinguished, so the attempted coup in the Midlands was soon put down. 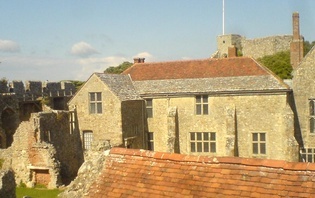 Byron had intended to seize the old royalist citadel of Newark, but he and White could only gather around 100 men, which was clearly insufficient to overpower the Commonwealth forces in the town. They headed instead for Nottingham, now closely pursued by militia cavalry. In a running series of skirmishes several hapless insurgents such as Peter Hodgson of Worksop, were wounded or captured. Charles White led a few of the survivors on to Derby, and actually succeeded in occupying the town for a few hours. However, he was soon forced to flee when regular troops from the New Model Army arrived in force. White remained on the run for several days, but was eventually captured. He was thrown into prison, and was lucky not to be executed. Charles White did not live long enough after the Restoration to be rewarded for his actions. The war hero, the eccentric and the (eventual) turncoat were clearly very different personalities, and typical of the different factions within the Nottinghamshire parliamentary county committee. That said, the fact these three men’s signatures often appear together on Nottinghamshire pay warrants indicates that these differences did not prevent them from cooperating in order to conduct routine business. This was obviously good news for maimed veterans and war widows who relied on them for financial support. Nottinghamshire recipients were luckier than their neighbours in Lincolnshire, where the county committee was so bitterly divided that it eventually ceased to function. Thomas Carlyle (ed. ), Oliver Cromwell’s Letters and Speeches (2 vols., New York: Wiley & Putham, 1845). Lucy Hutchinson, Memoirs of the Life of Colonel Hutchinson, ed. J. Sutherland (London: Oxford University Press, 1973). Andrew Hopper, Turncoats and Renegadoes: Changing Sides During the English Civil Wars (Oxford: Oxford University Press, 2012). David Norbrook, ‘Memoirs and oblivion: Lucy Hutchinson and the Restoration’, Huntington Library Quarterly, vol. 75, no. 2 (Summer, 2012), pp. 233-82. Alfred C. Wood, Nottinghamshire in the Civil War (Oxford: Clarendon Press, 1937). Republished by Partizan Press of Nottingham, 2007.